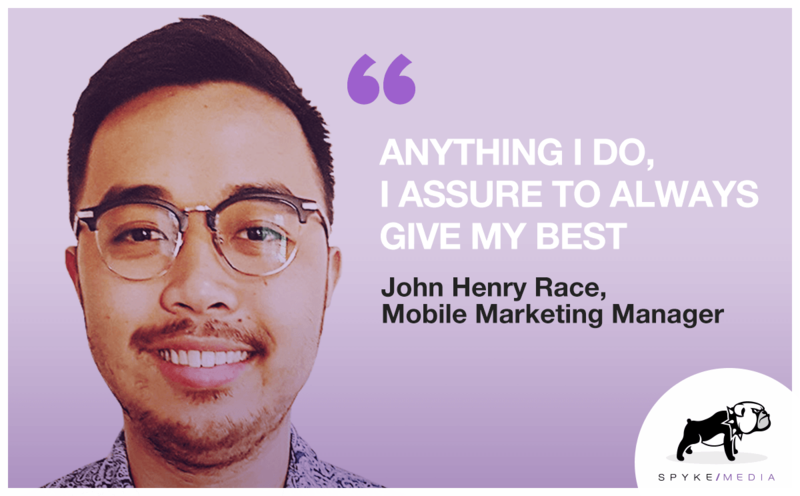 Our company’s growth from last year also reflects in the growth of our team, as we have a new Mobile Marketing Manager in our office in Manila: John Henry Race. When he is not working John is an avid basketball player and loves to wind down to video games or enjoys hanging out with his friends. His hidden talent? Hip hop dancing – which he did while he was in high school. We are sure he’ll groove Spyke media as well.